Telia—the new generations telecom company and #1 internet backbone network globally through Telia Carrier—just joined SACCNY as its latest gold member. Find out how this can be mutually beneficial. Great news! SACCNY is excited to announce that Telia Company—the new generation telco, eager to make Sweden a world leader at capitalizing on the opportunities of digitization and as one of the largest investors in Swedish infrastructure—has joined the chamber as a new Gold member. This incredible synergy promises great things for both. As an innovative firm, Telia is creating a new generation telecom company, developing the future of communications network, and leading the industry in 5G, with ongoing or planned testing in several cities in the Nordics and Baltics. Lucky for SACCNY members, this wealth of experience means the 150-year-old company can be an invaluable resource in this area. So for any companies looking to succeed and explore the future of telecommunications, Telia has plenty of expertise and insight to share. “We believe that fixed and mobile connections are converging over time. 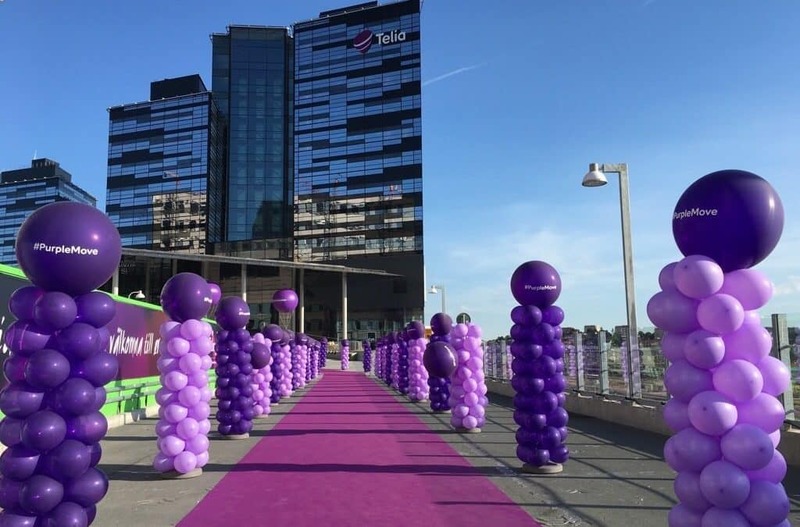 To meet future demands in terms of capacity, speed, coverage and increasingly more customer-specific demands, we need to work smarter when it comes to fiber and mobile solutions,” noted Christian Luiga, EVP and CFO of Telia Company. And while this may not be the first thing that springs to mind for those familiar with Telia, it is actually the top global internet backbone network through Telia Carrier. On a more strategic level, the company will play a key role within the SACCNY network, especially with Luiga joining our Board of Directors. One of his key commitments will be to inspire and nurture future trailblazers. “I hope to support the next generation of leaders—be it in innovation, sustainability or equality. For us at Telia Company, these values often go hand in hand with digitalization. This is why they are all critical components to develop in the long run,” he said. In return, SACCNY’s contribution is one Luiga thinks as invaluable—with it’s far-reaching professional network and potential for greater success in the U.S. and other global market. While Telia does have a presence in New York City through Fältcom—a subsidiary that connects traffic lights and bus stops—there is still room for more opportunities, and where SACCNY can offer substantial support. “An important aspect is the increased exposure to potential business customers in the market,” said Luiga. Last but not least, there will be abundant opportunities to create new, efficient partnerships within SACCNY’s network. At the end of the day, the bond between Telia and SACCNY goes far beyond the desired network and location. It boils down to a shared vision and dedication to innovation. At Telia, “we have a tradition of investing in innovation and early partnerships, with Spotify and Zound Industries as notable examples.”Armed with the successful ingredients for an international business—global products, strong expertise and existing partnerships—Telia understands how their role at SACCNY can be a win-win situation for all.To that end, “we will actively take part in discussions, sharing our ideas with the SACCNY network. while getting feedback on how we can better support different member companies in their digitalization journey,” said Luiga.